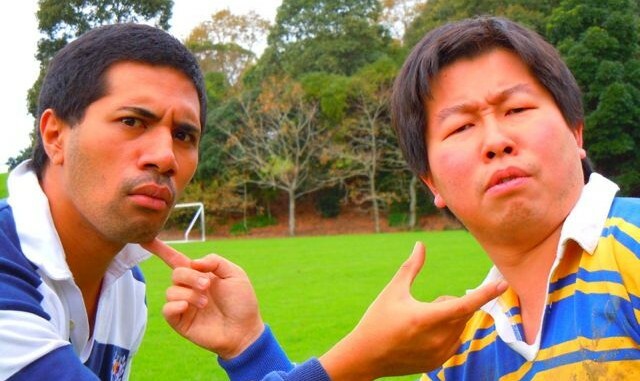 Interview with Benjamin Teh and Paul Fagamalo about acting, culture and RUGBY! + TICKET GIVEAWAY!! Sssh... Don't mention the Rugby. Too late! After 200,000 fans shut-down down-town for the Rugby World Cup Opening Night celebrations there is no denying it anymore. The Rugby is here, and Auckland has gone mad for it. And if you can’t beat em, join em. Or so it seems to be going for theatre. With this unprecedented event taking over Auckland and the country (silencing even the politicians), it’s all a bit of a gamble as to how Auckland’s theatre will fare. Will our theatres be left empty, its audiences flocking to the RWC events, or staying home to watch on the telly? Or will our theatres be able to capitalise on the ‘going out’ culture and an increased number of international visitors. Will Rugby we the winner on the day, or will the Arts be winners too? There are some encouraging signs. Q Theatre has opened just in time for the RWC, and offers a damn fine lineup for discerning punters. The REAL NZ Festival is operating as an umbrella for a massive number of events across the country. And there is certainly no shortage of theatre being put on. And when it comes to the theatre, there seems to be two schools of play. Either appeal to the Rugby hysteria, or offer something completely different – an antidote to it all. For Rugby fans interested in theatre (yes, I’m told they do exist) there’s much that could appeal. This week at the Basement sees the debut of The First Asian AB and Death by Cheerleader (featuring the Cheer Blacks). 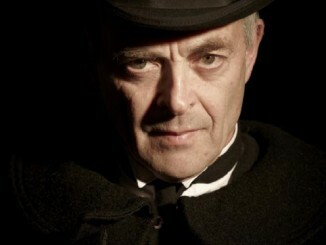 Later, Catalyst have Heroes at the Musgrove, Q Theatre have I, George Nepia and Finding Murdoch. On the other hand, the upcoming Basement Fest 26 September – 22 October is about, in the words of co-director Charlie McDermmott, “giving people an alternative to all the rugby malarkey”. But until then, it’s all about the Rugby. 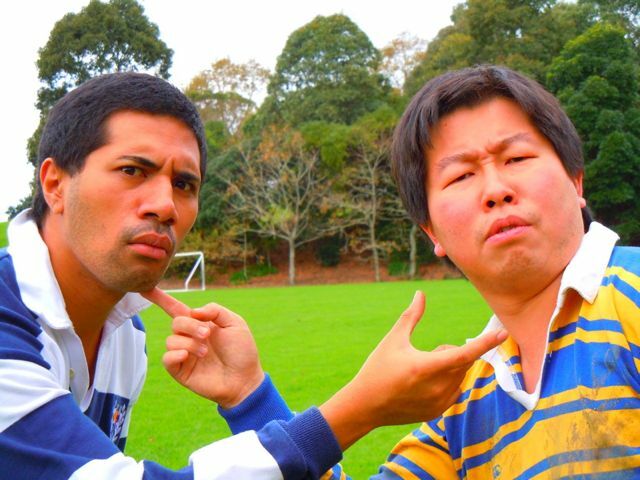 Benjamin Teh and Paul Fagamalo star in The First Asian AB opening tomorrow at the Basement Theatre. Rugby related? You betcha: the ‘AB’ stands for a famous and hopefully (fingers crossed) a world beating Rugby team. 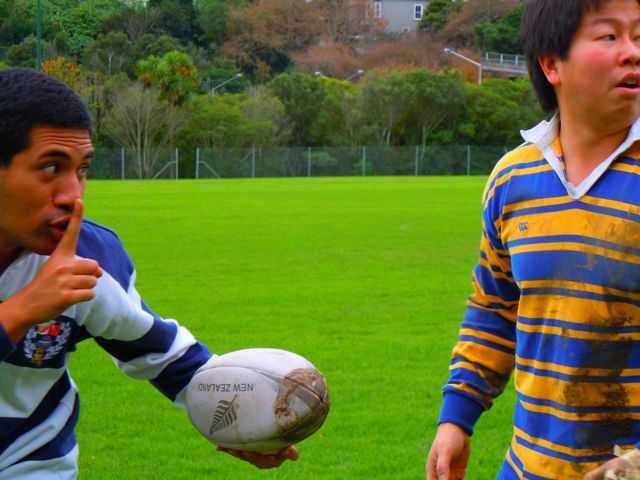 Ben plays Willy, an Asian homestay student who comes to live in Timaru and meets Mook, a Samoan boy. The unlikely pair become best of friends, but when Willy decides to try out for the All Blacks mateship – and everything else – is up for grabs. The play, by Renee Liang with dramaturgy by Oscar Kightley and directed by Edward Peni was written especially with the two young actors in mind. I’ve known Ben and Paul for many years, and can tell you that Rugby is one of the last things I’d associate with them. Ben likes to make films. Paul is always starring in musicals (he’s going straight into Asian AB from his season of The Factory). Both have taken a journey not only into Rugby, but into their cultural identity, and their experiences are reflected in the play. Working on the First Asian AB must be quite special as actors because Renee wrote the play with you two in mind for the roles? Paul: It was good because we got characters tailor-made to who we are, and we got to put a lot of ourselves into these characters. The writing itself I feel was very symbiotic – she’d give us ideas and we would come forward with our ideas, and she managed to write that into what she had initially. Ben: What I found really interesting was the fact that she’d write a draft, and then we’d read it out, and she’d tailor it according to our individual history and the way we speak, and bits here and there that she felt would further enhance the characters. I understand it’s been a real workshop process, in what other ways has the script been developing and changing? Paul: We did a Read Raw session which was really good because we managed to air out the script – it sounds different in front of an audience. Based on the audience’s reaction we were able to garner what worked and what didn’t work. Since our Read Raw we’ve been able to add a few things, change a few things, which has been really invaluable for us as actors. Ben: When we received the first draft it was really interesting because we looked at it and said… “It’s a bit too PC, everyone’s too nice”, and so it’s becoming more and more real in terms of how the characters interact. The play is a two hander, and as well as playing Willy and Mook you guys play a host of different characters. Do you have any favourites? Paul: Yes! This is I do indeed, thankyou for the question. I’ve got two – my favourite characters I have are Mrs Willis or Miss Mobrey which is the teacher. Mrs Willis is the homestay mother, she’s very excited to have this Asian boy over at her house because she feels a connection with Asia (she went there when she was younger), so she’s feels this affinity with this boy. It’s really good to play because she’s so loving to the point of smothering ; playing that in a loving way is a challenge for me, and it’s also really fun to play against Ben as well. That’s the same for Miss Mobrey – she thinks of herself as the picture of cultural understanding in Timaru. Ben: I have a favourite Paul plays – Mook. Mook comes off first as this really angry individual and slowly the two of them bond and you see these two boys become mates for life, which I find a really beautiful thing. And then that gets taken away from them, and they have to find a way to come back together and be friends again. I like the theme of friendship that goes through it. Ben, your character Willy comes to NZ completely fresh not knowing much about our culture and discovers it through the play. Knowing that you also came from Singapore when you were 16, can you speak to coming to NZ and your first impressions? Ben: My first day of school when I moved to NZ… In Singapore you’re meant to roll your socks down. I walked up to school wearing leather shoes (which I thought was really weird since we don’t have leather shoes in Singapore) with my socks down. I walked past the discipline mistress and she said “Oi, you! Pull your socks up!” and I was absolutely terrified because I didn’t even know she was a teacher, I just thought she was this crazy lady haunting the halls yelling at me. It’s very interesting because Renee, Paul, Ed and I would sit down and talk about our different experiences growing up and for me moving here, and some of those experiences have made it into the play, which is really cathartic to experience again. Let’s talk about Rugby. Be honest – to some extent you’re ‘cashing in’ on the Rugby World cup hysteria? Paul: You could say that, and why not. 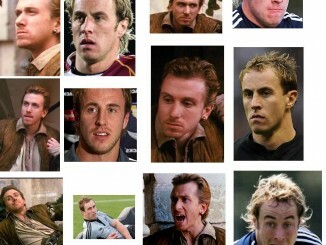 Why not combine two loves like theatre and rugby. Yeah, it’s riding the wave of the Rugby World cup. It’s a good thing. It’s such a quintessential thing as a New Zealander to know Rugby, or have some connection to Rugby. It’s been interesting for us because none of us play Rugby at all, but both our Dads are Rugby mad; we often talk about how Ben’s Dad wanted him to play Rugby when he was younger, and my Dad would record every single Rugby match and put it on VHS, I’ve got all these tapes of random Rugby tapes at home. For me doing this play reminds me of him, and one of the characters in the play reminds me of my Dad as well. Go the Rugby! Ben: It’s like the whole country is going Rugby mad and everyone is embracing it, even if people aren’t so sporting inclined they are still going to things that relate. This country is amazing in terms of the sports that people play, but also in terms of how devoted the country is to the sports, which I find mind-blowing. I remember going to a Rugby game that my Dad took me to, and the energy in the stands was just electric – we were standing up yelling at the Ref, and I’ve never seen my Mum yell at a stranger before angrily – so much passion and energy. Who are you supporting for the World Cup? Paul: I’m going to be patriotic and say Samoa, that’s who I’m going to back. Ben: If Singapore had a Rugby team I would totally be supporting them… but All Blacks man, All Blacks. What will Rugby and Theatre fans alike get out of seeing this play? Paul: I think it will be a real insight into not only Rugby as a sport, but immigration as a whole. We talk about NZ being a largely multi-cultural society and yet there are still issues with immigrants and racism and stuff like that. It’s a good eye opener and what better way to put it on in NZ through Rugby. It’s something that I think would be a good thing for people to take away, and if international people manage to see it, even better. There’s also the idea of a 3rd culture in the play – having your home culture and coming to a new culture and making what you will of it. You make your culture as you go along; you make it your own. So when will see the first Asian All Black? Paul: Good question, hopefully soon! Ben: There are a lot of all Asian Rugby teams that already play, which I find quite cool. Paul: It’s only a matter of time. The First Asian AB is part of the Real NZ Festival and plays at the Basement Studio 13 – 18 September 2011. More information at the Basement. TICKET GIVEAWAY: To win a double pass to The First Asian AB show on 6pm Wednesday 14 September tell me: Which ALL BLACK would you like to see perform in a theatre show? Comment below, email james@theatrescenes.co.nz, or tweet me. Which ALL BLACK would you like to see perform in a theatre show?